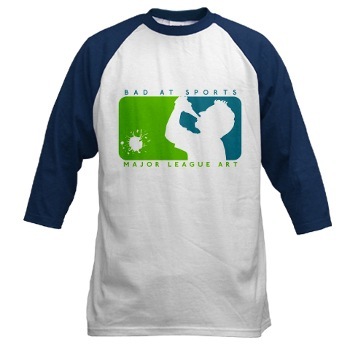 Bad at Sports Summer Collection is up. Jerseys, Shirts, Stickers, Magnets & the Party Poster can all be found here. Take a look and have fun this summer with the beer, grills, sun and beach. It’s only a few weeks before the Fall season and cooler weather. So make hay while you can!